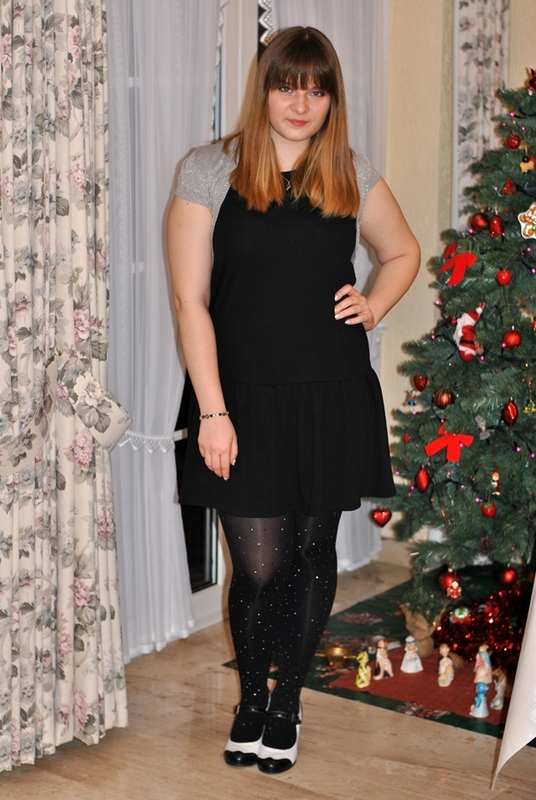 So this was my NYE outfit and as I already predicted earlier I wore my new Primark rhinestone tights. I wasn't sure about the quality and I even worried that I would lose all of the rhinestones during the evening. However I was pleasantly surprised because even though I needed to be a bit cautious when putting the tights on the gems lasted all night long. Also the quality of the tights themselves is way better than you might guess. For the rest of the outfit I kept it simple because we only went to a small house party. It was really lovely seeing some old friends and meeting new people. What have you been doing on NYE and what have you been wearing? Wow, dear! Those are such cool tights and they look exciting and beautiful on your lovely legs. And your hair is so gorgeous, pretty color and style. Glad you had a fun time on NYE :) Wonderful pictures! This outfit wins. 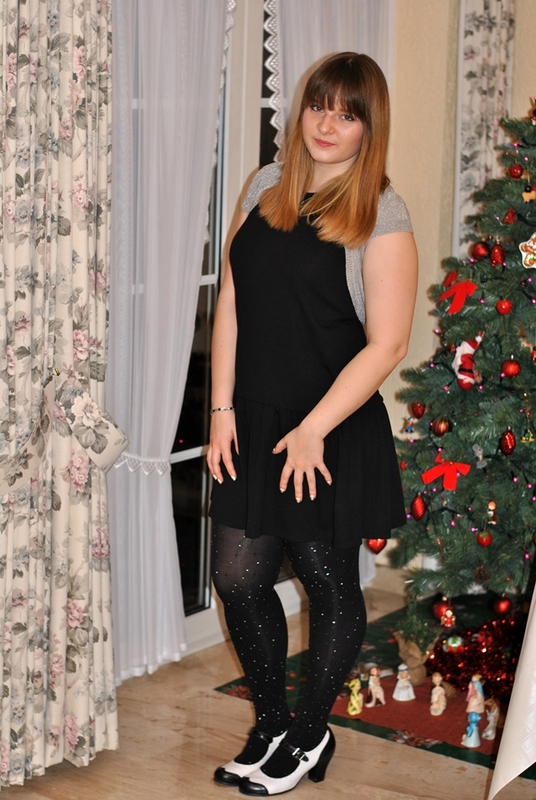 I love it, the tights and those shoes are amazing. Glad to hear the stones stayed on! Lovely outfit and great tights! A very appropriate outfit for a NYE party. That is great the rhinestones stayed on. I wore a white sparkle skirt with little shiny plastic squares on it. I thought a few would come off for sure but then didn't. But it is certainly a noisy skirt. Hope you had a fun NUE. Vielen dank Carmen,for deine liebe worte,sehr schonne outfit! Lovely, and perfect for NYE indeed! 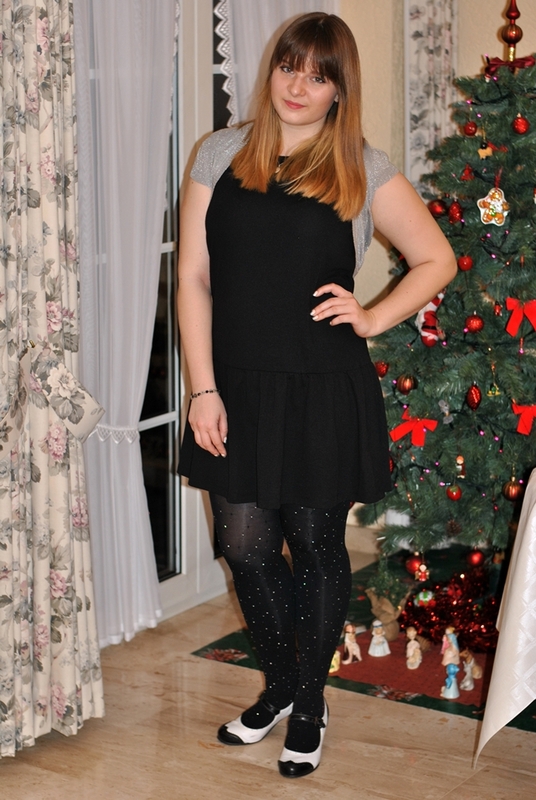 The sparkles on your tights are so cute! You look gorgeous, perfect and elegant for these days! 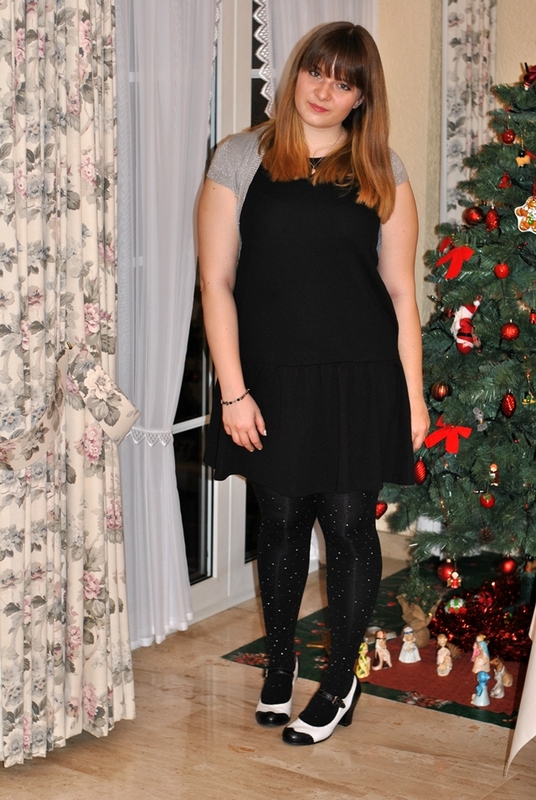 Super schöne Leggings, ein toller Look für Silvester! the ideal nye outfit!!! fabulous, dear! So stylish and love the pose with the leg pop--so cute! Hope you have an amazing 2014, Carmen! Oh those tights are so pretty!! Gorgeous dress as well! Happy New Year - best wishes for 2014! Such a sweet look. The tights are so cool. I like your blog. Maybe oyu can visit my blog and follow me on gfc and bloglovin. So beautiful ! Your tights are very cute and I love your dress. You are very pretty.